Asus shows no intention of limiting itself to the crowded under 10,000 INR market anymore. With a motive to take on the likes of Galaxy Note 7, the S-series handsets and other High-end smartphones they launched four new smartphones at a grand ‘Z3NVOLUTION’ event held in New Delhi. 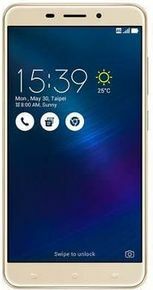 Asus Zenfone 3 Laser, which was the lowest priced smartphone at the launch, comes with a price tag of 18,999 INR. The handset looks and feels premium. It has to, for the price it comes at. Unlike the 2nd generation Zenfone laser, the Zenfone 3 laser employs a metal unibody design (little curved on the rear edges) with visible Antenna lines. It also sports a fingerprint scanner mounted on the back panel for biometric authentication. Zenfone 3 Laser flaunts a 5.5-inch full HD (1080x1920 p) IPS display which is protected by Gorilla Glass 3. Also, it features a pixel density of 401 PPI. On the photography front, the handset sports a 13 MP resolution (f/2.0 aperture) rear shooter clubbed with a Sony IMX214 sensor. The rear camera is aided with a dual tone LED flash. At the front side, it features an 8MP resolution (f/2.0 aperture) snapper. The handset houses a 1.4GHz Snapdragon 430 octa-core SoC teamed with 4GB RAM, Adreno 505 GPU and 32GB onboard storage(expandable up to 128GB via microSD card). The chipset is backed by a non-removable 3,000 mAh battery. And Good God! It doesn’t come with confusing multiple variants like most other Zenfones. (Marshmallow) with ZenUI 3.0 skin on top of it. Other basic features and connectivity options include 4G LTE, Wi-Fi 802.11 b/g/n, Bluetooth 4.1, GPS and it skips USB type-c and settles for a micro USB 2.0 style of connectivity. Asus Zenfone 3 Laser supports Dual SIM cards (micro + micro) which can be mounted on a hybrid SIM card slot. You can choose between two available colors-Glacier Silver and Sand Gold. The design of the Laser might be a bit commonplace, but the nice materials being used for the phone’s construction do a great job at mimicking the look and feel of a much more expensive product.Along with the solid build, the Laser also delivers a great-looking screen, fairly snappy processor, a fast autofocus system, and satisfying battery life. The phone falls a bit flat due to its weaker software skin, low quality speaker, and slow recharge times, but those issues aside, the ZenFone 3 Laser has quite a lot to offer. From 2016 to now comparatively it's best suggestable choice... No doubt... Thank you Asus keep it up. why it hav hybrid sim slot. Battery capacity for this type of display is less.